Nautilus is all onboard with plans regarding a concentrated effort for a port state control inspection campaign that is to be carried out later on this year. The campaign will emphasize on the dangers that accompany enclosed spaces aboard merchant vessels. The Union has also decided to back up a decision for conducting a subsequent concentrated inspection campaign in 2016 in order to check the industry’s compliance level with the Maritime Labor Convention. Countries that are along the lines of the Paris and respectively Tokyo Memorandums of Understanding on Port State Control have managed to agree upon running a coordinated inspection campaign regarding crew familiarization procedures for enclosed space entry, with the campaign scheduled to take place between the months of September and November of this year. The Paris MOU committee underwent a decision to perform a concentrated inspection campaign this year in order to verify compliance with the so-called seafarers’ bill of rights – the MLC. Richard Schiferli, Paris MOU secretary-general commented on the decision by saying it serves as a demonstration of the importance that the organization puts on proper working as well as living conditions aboard vessels. “We welcome the decision of concentrating on MLC 2006, as well as the attention efforts towards enclosed space issues and risks. Proper working and living conditions aboard vessels and enforcing the rights of seafarers are essential for ships to operate safely as well as efficiently. 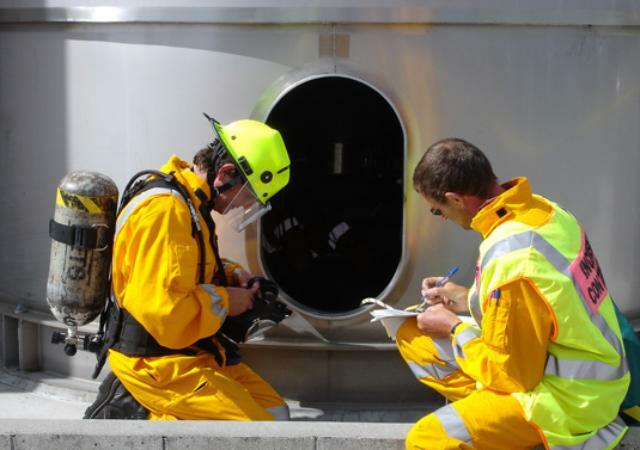 The concerns voiced out by the Paris MOU regarding the prevention of further death cases resulting from entry in enclosed spaces also comes along at the right time,” commented Mark Dickinson, Nautilus general secretary.